Home dairy management software What You Need to Know about Animal Husbandry Solution? What You Need to Know about Animal Husbandry Solution? We know how important that cup of milk in the morning is for you to begin your day. However, we also understand the significance of cows who produce that milk to make us healthy. Thus, by collecting a heap of information from a spectrum of sources like veterinarians, nutrition experts for animals, dairy farmers across different farms, and studying the life-cycle of cattle reproduction, we have come up with a unique and comprehensive solution- Animal Husbandry. The primary goal of the Animal Husbandry (AH) solution is to increase the milk production of the country by guiding the farmers on how they can improve cattle feeding, cattle breeding, and farm management scientifically and increase their profitability. For this, it will record every single detail of all animals owned by a farmer which is registered in the AH service. The system will also comprise a team of experienced veterinary doctors who will provide their intelligence to our AH service. The AH solution incorporates a massive database of animal information and a gamut of functionalities offered by the same. 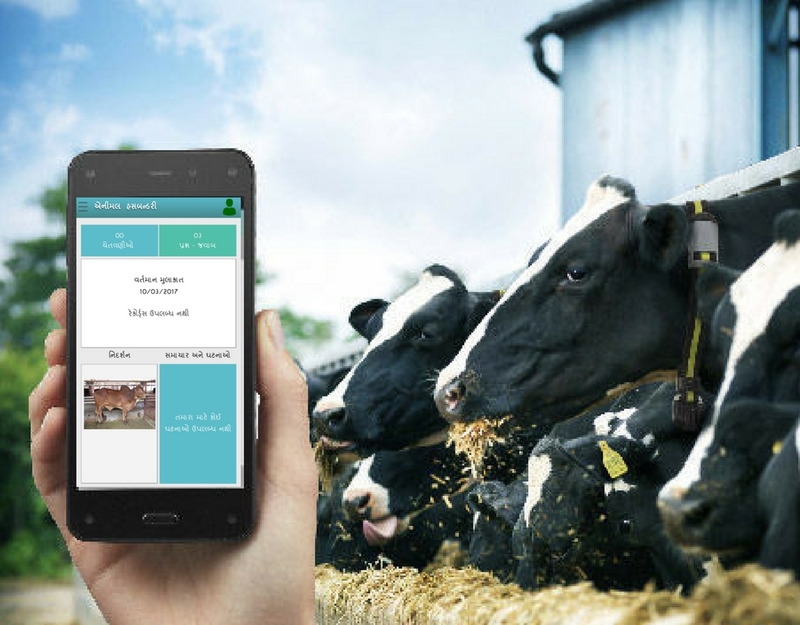 The features include managing animal information, milk recording, breeding & lactation reports, vaccine & breeding notifications, calf rearing program details, income & expense reports, weight changes, etc. among others. And all data is managed through a cloud explicitly designated for this purpose which makes this application highly efficient, reliable and easy to operate. Let’s walk through a few vital attributes of this solution. The inclusive dairy management software prepares a low-cost nutrition ration chart based on recorded information and requirement for each animal. Animal information like Calf rearing, Heat date, AI date, PD date, Calving date, Weight measurement, etc. are collected and stored in the inclusive cattle management software for each lactation. Individual lactation-wise milk production is recorded into the system for each animal. Milk recording is based on every ten days or daily. Data like Farm Herd average & Wet average, farm cleanliness, airiness, farm construction, etc. are recorded and stored in the farm management software. Alerts on individual animal's lifecycle event like Heat, PD check, Drying up, Weight check, Calving, Vaccination, etc. are sent to farmers via SMS. The software application is available in multiple languages based on different regions of India for the ease of usability. Incorporates recording milk quantity periodically, collect Milk Fat and SNF records from cooperative societies and analyze the same. Alerts notifying about any event in the lifecycle of a particular animal are sent to both farmers and service persons. These alerts provide summarized information for total milk collection, the number of farmers and their animals subscribed to AH, etc. The doctors are informed about the animals regularly via notifications so the doctors can keep track of their health and take required actions in case of any problems. A detailed program that suggests feed requirements for different animals on the farm, and maintains a balance with expenses. Provides a brief report on daily income and expense incurred by the farmer to track the same for both farm and cattle. Farmers and service persons can raise any query related to the cattle and the doctors resolve their issues. Not all the AH application users are granted access to all the functionalities. Each user is provided with a different role and rights accordingly to differentiate who can access what. The location of a service person can be tracked while he is recording data of animals at a farm. The AH application does not require a persistent internet connection to run which proves beneficial in rural areas that lack proper connectivity.